Ring culture is a method of cultivating tomato plants where the tomato plants are grown in a bottomless pot, a "ring", the pot is then partially submerged in a water retaining, though free draining aggregate base. It does not really matter what this is as long as the roots find water. The second set of roots are near the surface and they are responsible for finding nutrients. This method encourages the development of 2 root systems; fibrous roots in the ring culture pot supply the plant with food, the taproots reaching down into the aggregate take up water. • A shallow trench is dug out in a border, lined with polythene and filled in with washed gravel, builders ballast and sand (80:20 mix). • On a solid floor, build a retaining wall to hold the 10-15cm (4-6in) of aggregate mix. • A large gravel filled tray. • ½ x 70 Litre bag of compost or 1 growbag stood on end. 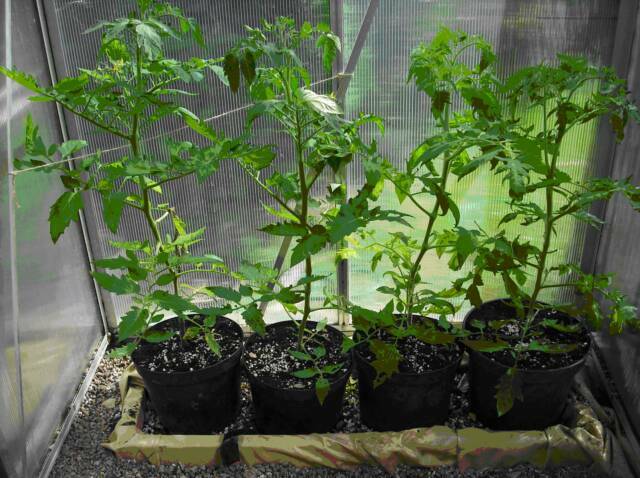 The tomatoes are watered from the bottom via the gravel bed and fed via the pot. This way the tomatoes have a free draining system with water and feed available to the plants as and when they need to take it up. A distinct advantage is the ease of maintenance as the water level in the base is not critical (unless it rises over the sides and causes a flood!) and the feeding just requires the diluted fertiliser to be added to fill the space at the top of the pots. Gently remove your tomato plants from their pots and place in the centre of the ring culture pot. Add compost and firm around the root ball, leaving 4cm (11/ 2in) to allow for watering. Place on a bench and give each plant 600ml (1 pint) of water. Do not water again for a week, then provide 300ml (1/2 pint) every other day for the next 2 weeks. After 2 weeks move the pots to their cropping position on the aggregate base, ensuring that there is good contact between the base of the ring and the aggregate. Water the aggregate daily. After 10-14 days check that the roots are pushing down into the aggregate. 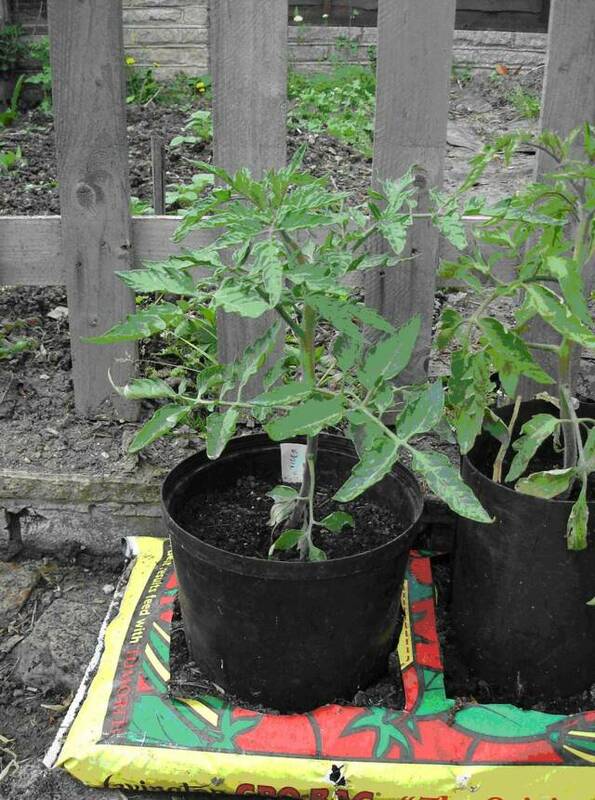 Once the tomatoes are around cherry size apply tomato feed to the plants twice weekly. Combination of Growbag and Ring culture. Stand two bottomless 10 inch (275 mm) pots on top of a growbag and cut circles round the base of the pots where it sits on the growbag and remove the plastic for the pots to sit in - a third circle in the centre of the growbag to fit a 5 inch (125mm) pot for watering. The bottomless pots are filled with a potting compost (or compost from another growbag) and the plants set in these.